Participants were instructed to consume 9 grams of dried eryngii (equivalent to 90 grams of raw erygii) per day for 12 weeks, with no special restrictions on their diet. This trial was done as a double blind test with a placebo group. This is an abdominal CT scan image of a person that ate eryngii for 12 weeks. 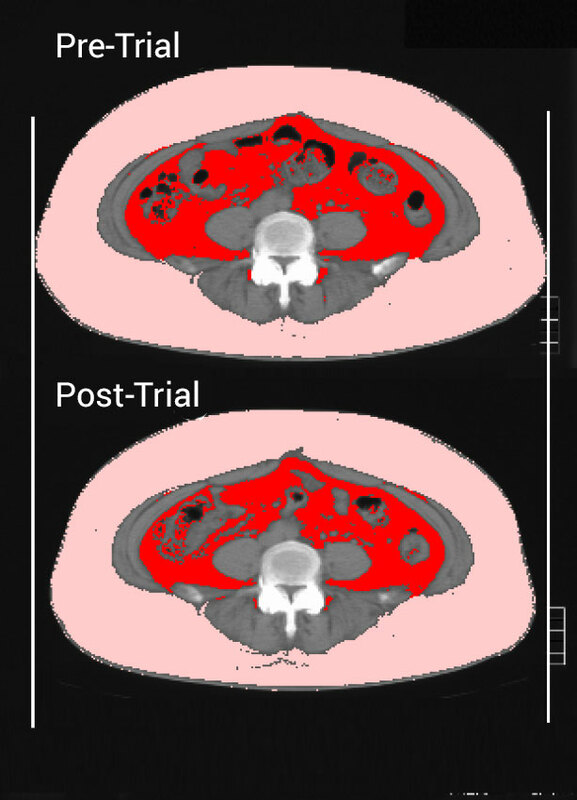 Compared to before the trial (top) the subcutaneous fat (pink) and the visceral fat (red) was reduced. 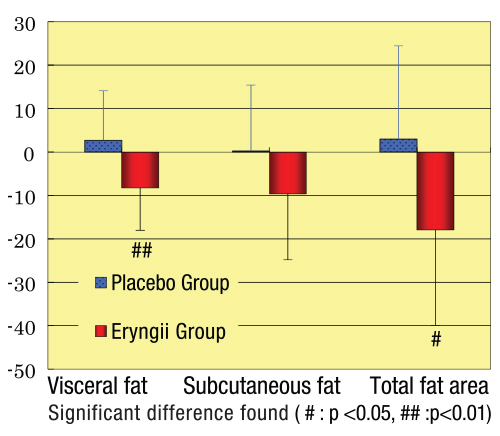 The total area of body fat, especially the area of visceral fat was reduced after consuming eryngii. *Placebos are pills which appear identical to the pills containing King Trumpet, but have no active ingredients. / *Double blind tests are an accepted trial method that prevents participants from developing biases. We noted that eating King Trumpet mushrooms on a daily basis might be associated with reducing body weight, BMI, waist measurement, neutral fat in the blood and blood pressure which are indicators of metabolic syndrome.